Oakland is moving forward with another major mixed-use development project in Uptown that prioritizes parking on public land. This week, as the San Francisco Business Times first reported, developers Alan Dones and Lane Partners said they intend to build more than two acres of offices, housing, and commercial space at 2100 Telegraph Avenue, around the corner from the Sears building that Uber recently purchased. The proposal for 21st Street and Telegraph Avenue would bring a massive development (and likely more tech companies) to an Uptown block that currently houses a two-story public parking garage with 351 spaces. Although this underutilized, centrally located site is an obvious location for a new apartment building and offices, housing and transportation advocates were frustrated to learn that the project is slated to spend a significant amount of space and resources on building a new large public parking garage. According to a 2014 exclusive negotiating agreement between Dones' TB2 Retail Complex LLC and the City of Oakland, the project will build "at least 350 public parking spaces to be owned by the City." In other words, city officials and private developers have agreed to prioritize car parking on public land that is one block away from BART. As I investigated in a recent cover story, "A Green Solution to Oakland's Housing Crisis," real estate developers frequently waste a huge amount of money and land on parking garages that are much larger than they need to be. In cities across the country, outdated, car-oriented zoning policies often require new residential and commercial projects to include excessively large parking lots — even in downtown areas that are accessible by public transportation. That's a problem when you consider how expensive it is to build parking. By some estimates, it costs roughly $50,000 to construct a single space in a structured garage, which means excessive parking requirements can lead to less affordable housing. These development trends are also environmentally backward. Easy access to parking garages can encourage continually high rates of driving and car ownership in dense urban centers that should be prioritizing and promoting greener modes of transportation. Although Oakland has recently taken a number of steps to make its parking policies much more forward-thinking and environmentally friendly, the new TB2 Retail Complex proposal highlights one way in which urban planning in the city is still stuck in the 20th century. 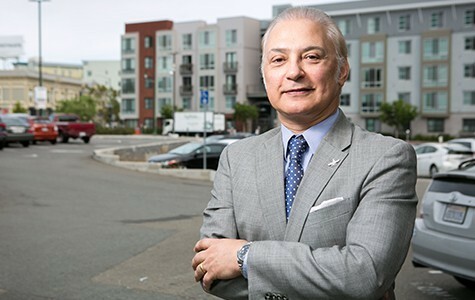 The project is similar to another recently announced mixed-use project at 1800 San Pablo Avenue, which is also right next to the 19th Street BART Station and is also on track to include a large city-run parking garage on public property. While transportation activists in general discourage the development of parking garages on valuable land so close to public transit stops, they argue that it's especially troubling when the city wastes publicly owned land on car storage. And they further argue that given Oakland's current housing crisis, the money and land that the city and the developers intend to use for car parking on public lots should instead be used to build more affordable housing. Some argue that the city's plans to use public land for parking in Uptown should generate the same kind of backlash that occurred when the city approved a luxury apartment tower proposal on public land on East 12th Street near Lake Merritt. There, housing activists argued that it was wrong for the city to sell public land to a developer who planned a project that lacked affordable housing or other meaningful community benefits. (The deal also turned out to be illegal). In terms of the supply of public parking in Uptown, city officials have continued to argue that the new developments are essentially maintaining existing levels of parking. In addition to the proposed city-owned parking lots at 2100 Telegraph and 1800 San Pablo, the city also plans to include public parking as part of a project at 23rd and Valdez streets. In total, those three garages would provide roughly seven hundred spaces to the neighborhood, according to the city. 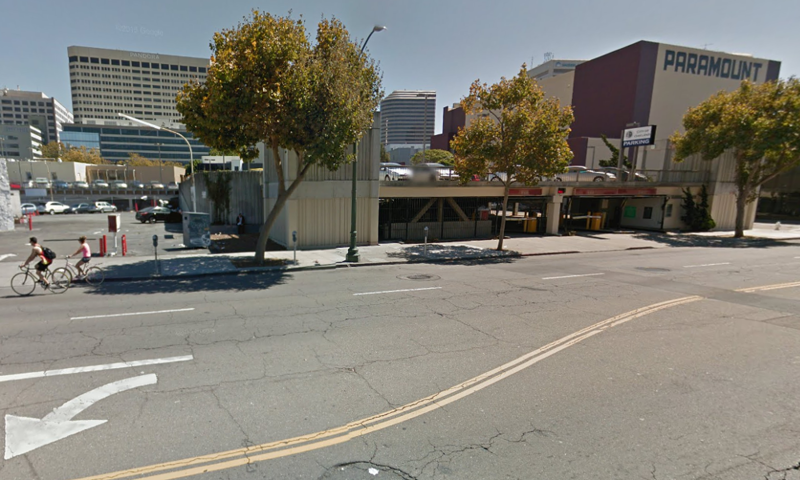 Developer Sid Afshar plans to build a new public parking garage at 1800 San Pablo. Patrick Lane, development manager for the city, told me in an email yesterday that the agreement between TB2 Retail and the city "is following a long term City objective to replace the public parking on the site to support the Paramount Theater and other businesses in the Uptown area." He added: "It is anticipated that the public parking will be needed even more when other development in the area happens." He told me that the operators of the Paramount, which is adjacent to the TB2 project, are very concerned about parking and would strongly object to any plans that reduced the number of spaces. Some transportation experts, however, argue that if the city wants to be aggressive in reducing greenhouse gas emissions, it should actively discourage driving to Uptown by building less parking. According to the exclusive negotiating agreement from 2014, the TB2 Retail Complex would include at least 250 residential units with 15 percent affordable to low- and moderate-income households. Now that Dones is collaborating with Lane Partners — the Menlo Park-based company that sold the Sears building to Uber — the project could possibly include a higher rate of affordable housing, Dones told the Business Times. The agreement also calls for at least 15,000 square feet of ground-floor retail and roughly 220 residential parking spaces (which would be in addition to the spaces in the public garage). Transportation advocates also argue that apartment buildings near BART should include smaller parking garages for residents (as opposed to the standard, which is building at least one-space per unit). The city is now in the process of rewriting zoning rules in a way that would allow developers to build less parking in new residential projects. Dones and Lane Partners did not respond to my requests for comment today.